Banff Trail, named after the mountain town to the west of Calgary, is a NW Calgary community that borders the city’s top post-secondary institutions and has convenient transit access. The neighbourhood is located just north of 16 Avenue North and east of Crowchild Trail, nearby both the University of Calgary and SAIT. The Banff Trail real estate market has both detached homes and small-rise condo complexes, in addition to attached houses and townhomes. View all the Banff Trail homes for sale here or read more about the neighbourhood. The NW Calgary community of Banff Trail is named after the gorgeous mountain town of Banff, located just over an hour west of the city. 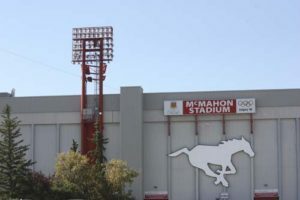 It is located just north of 16 Avenue North, which is the Trans Canada Highway in Calgary. Banff Trail is bordered by Crowchild Trail on the west side, 19 Street West on the east side, and Confederation Park/Morley Trail on the northern edge. Banff Trail has a mixture of residential and commercial areas, including a significant motel village along Banff Trail (the roadway). The Banff Trail real estate market is a mixture between single-family homes and condo buildings, including townhouses and small-rise buildings. The neighbourhoods nearby Banff Trail are Charleswood and Collingwood to the north, Capitol Hill to the east, Briar Hill across 16 Avenue North, and the University of Calgary/University Heights across Crowchild Trail. The neighbourhood is home to a Calgary Transit LRT station (also named Banff Trail), a few schools including the Banff Trail School and William Aberhart School, parks, athletic fields, and a variety of shops and restaurants. Directly nearby there is the University of Calgary, SAIT, McMahon Stadium (home of the Calgary Stampeders) and Confederation Park. Contact us today to get more information about Banff Trail real estate.